Rakuten, one of the biggest ecommerce giants in Japan, has proved to be a strong platform for millions of online stores in Japan and the world over. 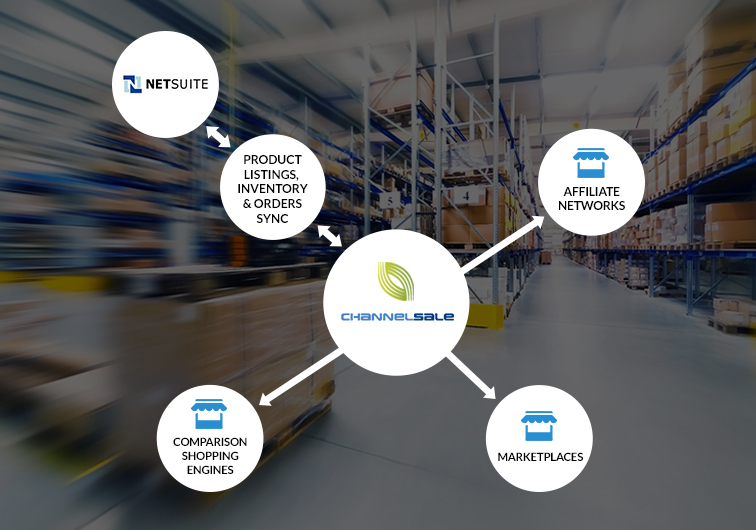 ChannelSale provides you with the most seamless Netsuite Rakuten integration services by using the most state of the art software management tools. Our integration is carried out with the help of our Netsuite Rakuten plugin and Netsuite Rakuten connector applications. We can easily introduce the platform into your Netsuite ecommerce store and help you to make greater amount of sales and consequently, more revenues. We also use our marketing experience and expertise to promote your store products across different marketplaces over the web. Alongside management services, we also offer Rakuten Netsuite real-time inventory management, automated product listing and shipping and order tracking management services. This ensures that your store is managed properly, and you can save a lot of personal time that you can devote to other prominent areas of your business. We keep marked up cost structure for many varied shopping engines and also create different pricing for Rakuten, and a variety of other online marketplaces. We use our advanced Netsuite Rakuten extension to associate the products from your ecommerce store with the most suitable categories of items available on Rakuten, with the assistance of granular level item category mappings. We offer versatile services according to the needs of our customers, and can help them manage single or multiple stores, know about user logging activities, get stock level synchronization and more. We make sure that data entry and transfer is seamless for your store at every stage. Our platform supports Netsuite products of any size, colour, shape and type, and whether multi-variational items, bundled items, kits or group products. Call any ChannelSale Client Service Executive on +1-866-709-9495 or mail at info@channelsale.com to begin with us or to know more about our services.